It's been a long and arduous journey--probably longer than it needed to be but I'm something of a perfectionist and I've never been down this particular road before--but Terra Soul is finally loose in the wild. 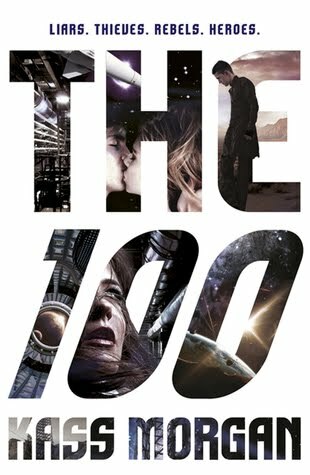 You may order it on Amazon starting on June 24th. Physical editions will be available soon. Other digital editions will have to wait until September when my Amazon Exclusive deal ends. In celebration I am also releasing my very own book trailer. Featuring art from Travis Mercer and music by Rachel Zyelstra, it has turned out exactly how I pictured. 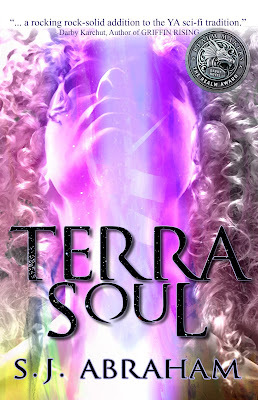 I hope it captures your imagination and encourages you to give Terra Soul a try. Tell me what you think and, please, share at will. Daniel Green wasn’t like other boys. He was small and polite. He didn’t like getting dirty or being noisy and he had a driving sense that he would one day do something extremely important. Now, some might argue that these things did not make Daniel all to different from other boys and they'd be right. The thing that made Daniel most different of all, was that he could hear things, unusual things that escaped the notice of most people. In the summer he could hear the bees singing softly to themselves as they flitted among his mother's creeping myrtle. He could hear the vibrant song of the rainbow and the low bass rumble of the rising sun. It took him a long time to learn that he alone could hear these things. At two his comments about the sounds of the moonlight were “precious”. At four they had become disregarded. By six they’d become tiresome to his parents and at eight they were banned. He came to grips with that he could hear some things others could not. So he kept his complaints about the sun’s noise waking him to himself and for all intents and purposes became a normal boy. Well, a more normal boy anyway. But he continued to listen to that which he was not supposed to be able to hear. So it was not an unusual day when Daniel, on his way to the park, found himself listening to the musical skittering of the sun beams striking the black asphalt, the straining sounds of the lawns growing and the muttering of butterflies. Then rather suddenly Daniel caught a strange feeling that he could not quite describe. You know it, the tingle in the back of your mind when you walk into a room and know it is not empty when it should be, or when you feel someone staring at you from across a crowded room. The little girl from down the street, Hanna who was typically a bundle of noise, both normal and paranormal, had gone silent. Daniel turned towards her just as Hanna fell, her blue eyes wide, her little pink lips forming a startled “o”. From the yard her mother screamed and came in a rush of feet, past the tall pale woman clad in a cloak of gray feathers. The woman who made no sound. Daniel strained his special ears but he could not hear the rush of her blood, the wheeze of her breath or the musical hum of a living human. The Gray Woman was utterly silent, and somehow she had silenced Hanna. The Gray Woman, unobserved by any but the horrified boy, strode casually away, her pale eyes leaking thin trails of smoke. And Daniel suddenly knew what his purpose was, why he could hear (and apparently see) what others could not. He ran all the way home.